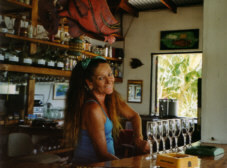 ...at Harta's Sister Sea Lodge in Portsmouth located on the Isle of Dominica! The Cottages are nearby the beach in the lovely and silent Prince Rupert's Bay from where the "flying fish" jump into Harta's bar. Tuna, Red Snapper, Crayfish and Lobster are brought from the boat into Harta's kitchen. Fruits and vegetable from organic cultivation are served with sea fruits on a banana leaf. 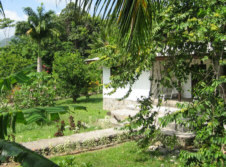 There's no mass tourism on Dominica which makes the island interesting for lovers of nature and people who like the originally and real life of the Caribbean: snorkeling and swimming in the warm sea, a recreating bath in the river next door, tropical rain forest, waterfalls and an expidition to the Boiling Lake, probably the largest of its kind. We've had him here: Johnny Depp in Dominica! 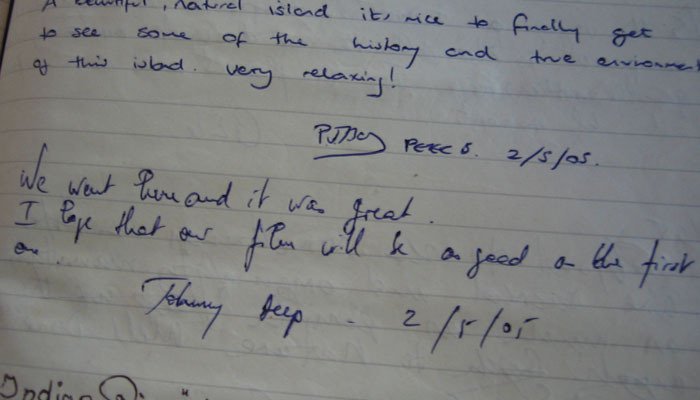 He signed the guestbook while he and his crew shot "Pirates of the Caribbean 2 & 3" - so you're here in good company! 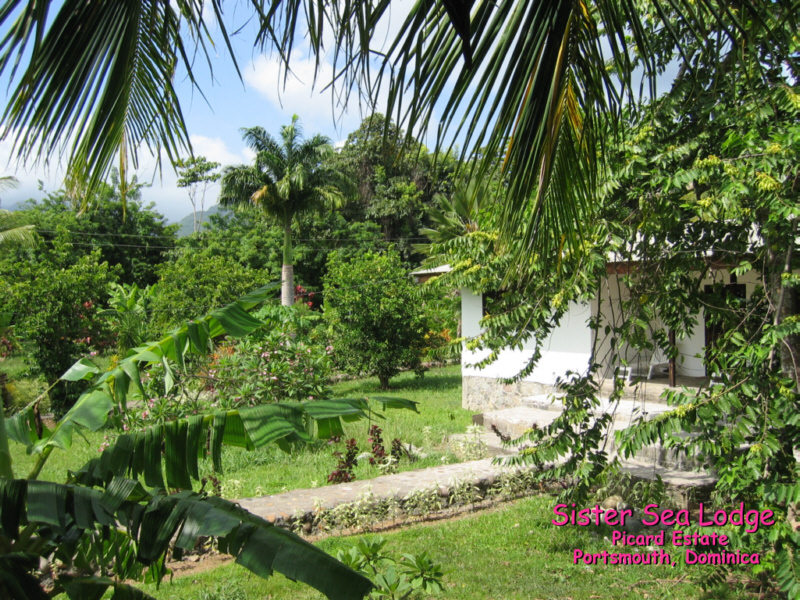 Appartments in the tropical garden, surrounded by mango and carambola trees and the smell of guava and fragipani flowers. 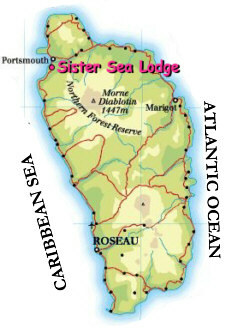 Sister Sea Lodge is located in the north of the island, close to Portsmouth and the Picard River. Dominica's Capital Roseau can be reached in about half an hour. The whole travel is along the pictorial coast. Download the exclusive Sister Sea Lodge Wallpaper!